Owning a dog or cat can be very rewarding. Of course, it is not all smiles and rainbows. As a pet owner, you are going to be required to assume more responsibilities. The good news is that you can offset the problem by investing in a good pet vacuum. Just remember that finding the right pet vacuum for your money can be very difficult. Within this guide, you’re going to find tips for ensuring that you’re able to buy the best pet vacuum for your money. Shark undoubtedly makes a lot of great vacuum cleaners. The NV601UKT is one of the best for getting rid of pet hair. In fact, it is specifically designed for this purpose. It comes with a pet power brush attachment that will make it easy to get rid of that pet hair within a short period of time. It is also sufficiently powerful and will have no trouble sucking up the pet hair within seconds. Now, you should realise that some vacuums are going to leave pet hair behind. For instance, they might not be able to reach the ceiling. Or, they might not perform well on the stairs. This isn’t an issue with the NV601UKT. This one is capable of getting things done right. The included attachment makes it perfect for removing pet hair from the carpets, stairs and even your furniture. Another thing that you’re going to like about this vacuum is the versatility. It is an upright vacuum. However, it can be used as a handheld too. This means that you’ll be able to detach the unit and use it for getting rid of hair on the sofa. The process couldn’t be quicker or easier. This vacuum is powerful and versatile. In fact, it is perfectly designed for the elimination of pet hair. The only slight problem is that the suctioning power might be too strong on some carpets. Just turn it down and you will be able to glide it across the carpet without much effort. More info: Our review of the best Shark vacuum cleaners. Finding a good pet vacuum can be tough. If you want to skip the hassle, you should check out the Vax UCUESHV1. This vacuum is capable of getting the job done right and it won’t empty your wallet. It comes with a 2-year guarantee and that should give you a little more confidence. Below, you’ll learn about the other perks associated with this vacuum. Some vacuums are difficult to push from one location to the next. This shouldn’t be a big issue with the Vax UCUESHV1. 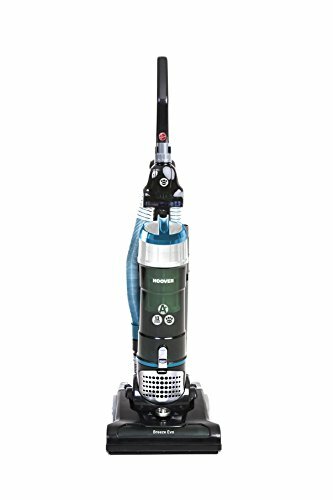 It features the unique steerable technology and this makes it easy to navigate the vacuum around your home. In fact, it’ll move around furniture and other obstacles without any problems whatsoever. Some vacuums are going to lose suctioning power over a period of time. This shouldn’t be a problem with the Vax. It features the highly innovative multi-cyclonic technology. This technology ensures that the vacuum is going to be powerful from start to finish. The performance and suctioning power will never dip! This is one of the best and most affordable pet vacuums out there. The only problem is that this vacuum is a little loud when in operation. Otherwise, you’re definitely going to love it. Check it out for yourself. You will not be disappointed. It might not be a Shark, but the VYTRONIX Animal Vacuum is still worth your time and energy. It won’t break the bank, yet it is still capable of cleaning up your home’s mess quickly and conveniently. With this vacuum, you will be able to get the job done without breaking your back or breaking a sweat. At just 6 kg, this vacuum will be easy to move from spot to spot. Plus, it is protected by a 1-year warranty. It should be noted that this vacuum is not battery powered. Instead, it uses a 6m power cord. This isn’t the longest power cord out there, but it is definitely sufficient. With 6m of cable, you won’t need to unplug and plug up elsewhere too often. Another great thing about this vacuum is the 3L capacity. With a lot of pet vacuums, you have to clean out the tank every few minutes. With 3L of capacity, you won’t need to do that. You just finish vacuuming the entire house before you need to empty the tank. That will make your job slightly easier. The VYTRONIX is great, but not perfect. There is a chance that dirt and fur will get stuck in the cylinder. This will make it very difficult to clean. Otherwise, it is a good addition to your home. It is lightweight, easy to use and efficient. The Hoover Breeze Evo is an affordable upright vacuum that is great for the elimination of pet hair. It has a very large capacity. In total, it is capable of holding 3 litres of trash. Emptying the tank is very easy and you won’t have to worry about making a mess. 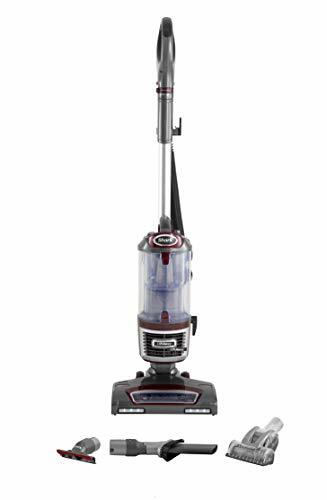 Plus, this vacuum is great for cleaning up the stairs. For the price, it is really difficult to complain about anything. A great thing about this vacuum is the adjustable brush bar. Some vacuums are only good for carpets. Others work best on hard floors. The Hoover Breeze Evo is great for all surfaces. Just adjust the brush bar and you’ll be good to go. This vacuum comes with an innovative mini turbo brush. It features rotating bristles and it is very powerful. The brush is capable of extracting hair from carpets and cushions. If you have carpeting in your home and you need to get rid of pet hairs, you’re going to love the performance delivered by the Hoover Breeze Evo. There is a lot to like about the Hoover Breeze Evo. However, it does feature a lot of plastic and that can be worrisome. If you want more peace of mind and more longevity, you might want to invest in another vacuum. Otherwise, The Breeze Evo is a good buy. Are you willing to spend a little more to get a better vacuum? 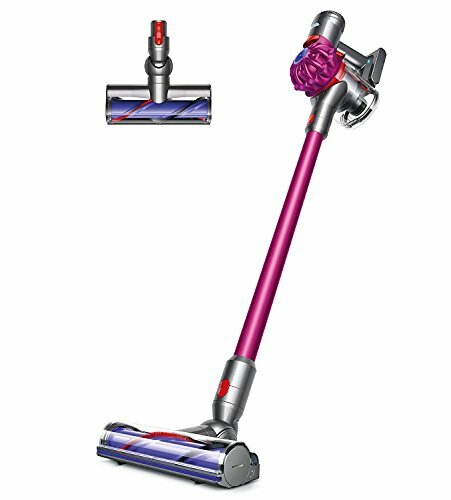 If so, you’ll definitely want to spend a few minutes learning about the Dyson V7 Cordless Vacuum. It works great and it’ll prove to be well worth the extra cost in the long run. 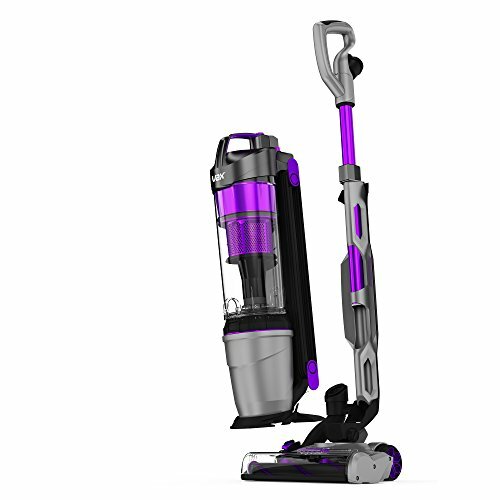 It is available in two cool colours to ensure that your vacuum matches your home’s colour scheme. Plus, this vacuum is going to deliver a good performance. This is a cordless vacuum. When the battery has been charged fully, you’re going to receive 30 minutes of suctioning power. At the same time, the power is not going to diminish. The suctioning power will remain strong from the beginning to the end. This is a hassle-free vacuum. You’ll never have to worry about the power cord. You can just use it and you’re good to go. There is no need to roll up the cord when you’re finished. Plus, you can vacuum your entire home without needing to worry about moving the cord from outlet to outlet. At the end of the day, the Dyson V7 Vacuum is great. The only thing that might turn you off is the price tag. It is slightly more expensive. Nevertheless, it is definitely worth it. 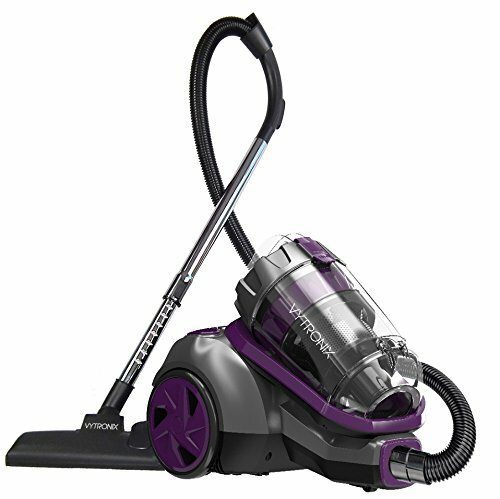 First and foremost, you need to make sure that you get the right pet vacuum for your money. This can be tougher than you might imagine. Below, you’re going to find tips that you can use to ensure you get the right one for your money. First and foremost, you should know that you’re going to be cleaning up many different elements in the home. Dog hair can stick on furniture, floors, and even the ceiling. Therefore, you need a vacuum that can get rid of the hair in these key areas. This is why it is a good idea to choose a vacuum that operates as an upright and a handheld. It can be tough to get rid of pet hair. If your vacuum isn’t equipped for the job, the pet hair is going to be left behind. With this in mind, you should definitely consider the motor’s strength. Make sure that the motor is very powerful. Otherwise, it might not pick up the hair. Many pet vacuums come with a power cord. Others are cordless. It is possible to benefit from both. If you want to ensure that you get the best of the best, it is generally a good idea to choose a vacuum that can be used with or without the cord. This will give you the ability to use the vacuum even if you forget to charge the battery. Using a vacuum cleaner can be a real hassle. This is definitely the case if you are feeble or older. With this in mind, you should definitely good a unit that is going to add more convenience to your life. Consider the weight. Make sure that the vacuum is very lightweight. You’ll also want to choose one that is easy to empty and maintain. If your vacuum isn’t convenient, there is a good chance that you’re going to be tossing it out within a few months, if not weeks. Finally, you need to choose a unit that features a HEPA filter. This will ensure that the pet hair and dander is not able to escape the system and reenter your home’s atmosphere. This will also cut down on the number of allergens floating through your home.